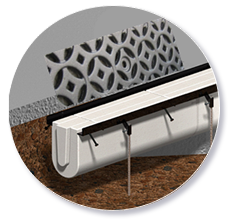 EconoDrain® and EconoDrain PT-2™ extra heavy duty is a complete, pre-engineered expanded polystyrene (EPS) foam trench drain forming system. The EconoDrain system is an excellent choice for managing the issue of site drainage. 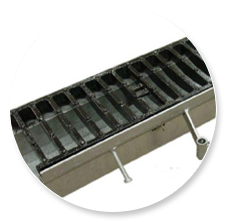 EconoDrain DG-4 decorative grate series combines the accuracy, cost efficiency and simplicity of the EconoDrain® trench drain forming system with the beauty of decorative grates. 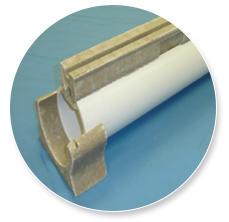 Alfa Slot® is a light duty PVC pipe with a polymer concrete slot drain. 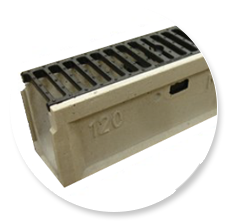 Alfa Slot is available in 1/4” Heel Proof slot opening and standard 1/2” slot opening. Alfa Slot is architecturally pleasing, low profile system that has superior flow capabilities. engineered steel trench liner system combining the installation and adjustability advantages of our EconoDrain® trench forming system. 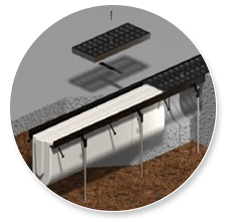 MultiDrain Systems, Inc. is a manufacturer of pre-engineered trench drain systems. Our surface drainage products, which can be installed using existing construction techniques, are simple, economical, and heavy duty. That means no elaborate instructions and no unfamiliar methods. Our product line includes the EconoDrain® EPS forming system, EconoDrain DG-4™ decorative grate series, EconoDrain PT-2™ extra heavy-duty trench drain system, Alfa Channel® polymer concrete trench drain, Alfa Slot® PVC pipe and polymer concrete slot drain and MultiDrain® steel trench drain. Each system uses different materials and means to fulfill a specific site drainage need. On this website you will find detailed information to help guide you in selecting the best MultiDrain product for your project, and to provide you with all the necessary specifications.